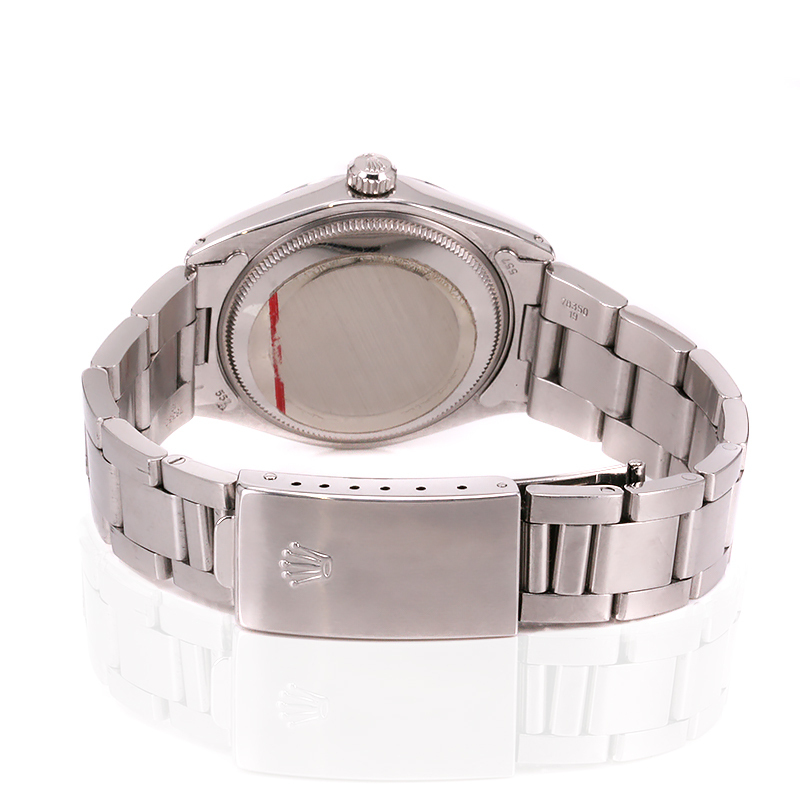 Product code: W1455 Categories: Rolex Watches, Watches. 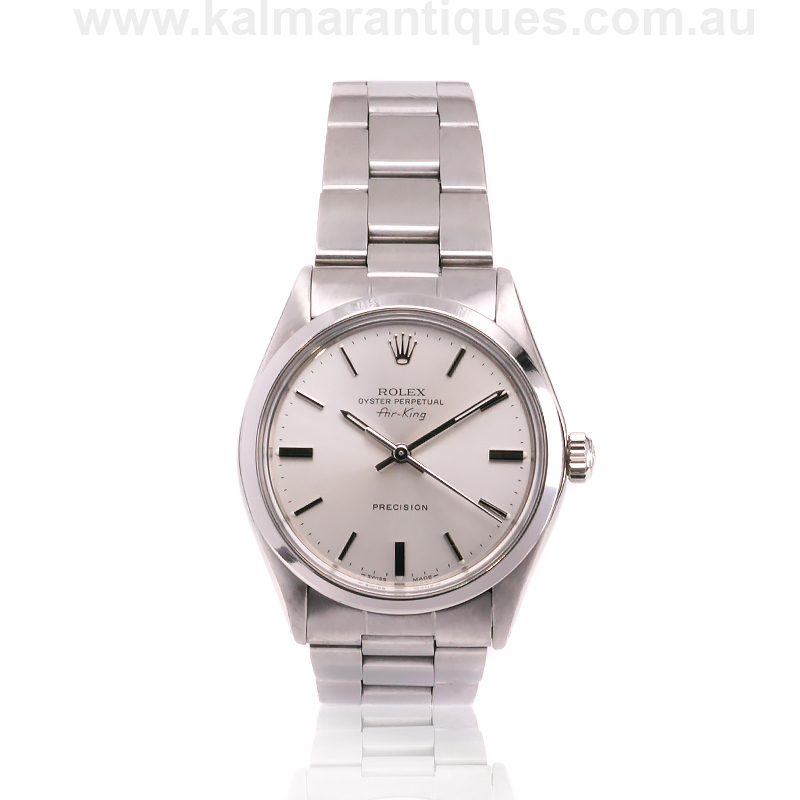 Here is a brilliant vintage Rolex Air King reference 5500 from 1977 that is superb condition both inside and out and has all the look and character of a vintage Rolex watch combined with an iconic and timeless design that will make this Rolex so well suited for any occasion or time of day or night. The Rolex Air King was first introduced in 1945 and has a very simple and sleek designed dial with the absence of both the date and subsequent Rolex date window magnifier giving the Rolex Air King such a clean look. Measuring 34mm across plus the Rolex screw down crown, the clean dial combined with the smooth bezel gives this watch a much larger look on the wrist that surprises so many people at how much larger it appears. Fitted on the Rolex Oyster band, inside the watch is the 17 jewelled automatic Rolex calibre 1520 that has just been completely serviced, runs perfect and comes with our twelve month warranty. A great looking and iconic Rolex watch that has a style and look that has never gone out of fashion or style. Tags: Rolex, Rolex Air King 5500. The Rolex Air King was introduced in 1945 when Hans Wilsdorf, the founder of Rolex wanted to honour the RAF pilots of World War II and created an “Air” series of Rolex watches such as the Rolex Air Lion, the Air Tiger and of course the Air King which is the only one to still be produced by Rolex today.